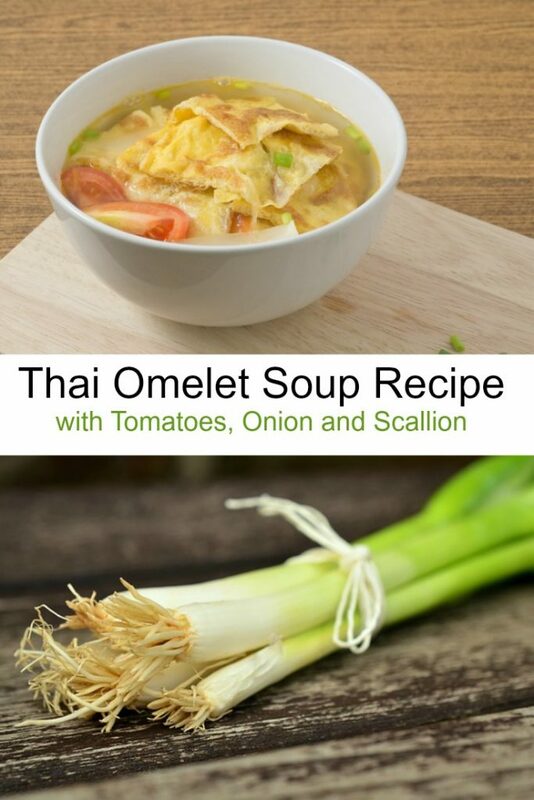 This Thai Omelet Soup with Tomatoes, Onion and Scallion is an easy soup recipe for busy weeknight meals. If you are really ambitious, you can make your own vegetable stock and freeze it back. Using peanut oil in this omelet soup gives it a wonderful flavor, however, you can use olive oil if you prefer. 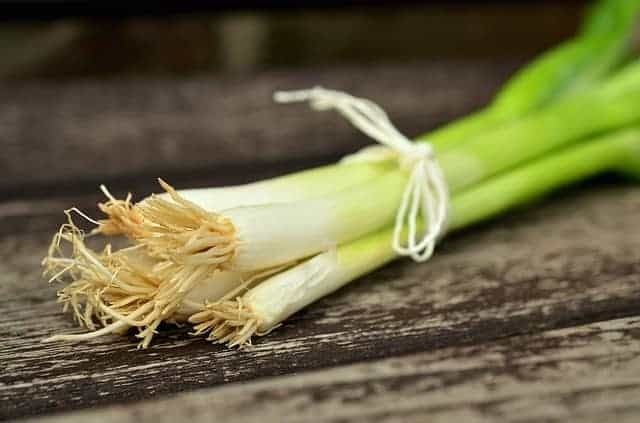 Top your finished soup with quarters of fresh tomatoes and fresh green onions right before serving. What is Thai Omelet Soup? 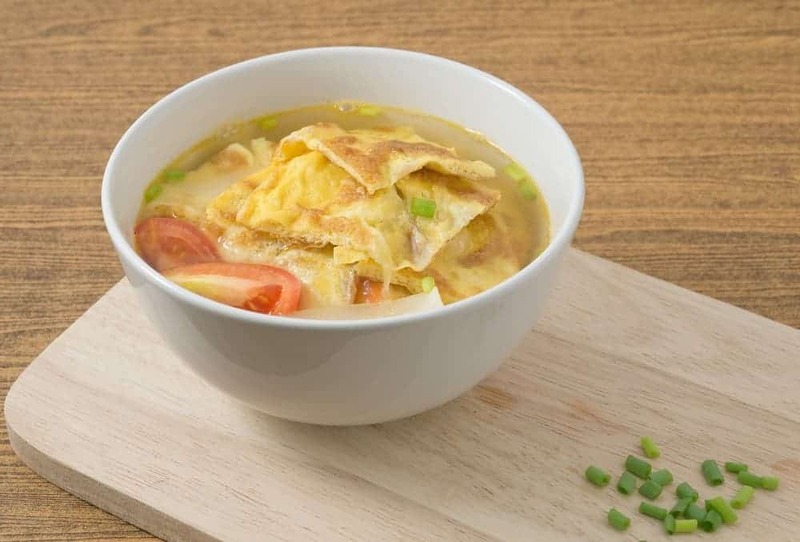 You can also call this Thai omelette soup or just plain Thai egg soup. This soup has many variations but they all seem to stem from China originally. Some require you to add strips of omelet to the heated broth. Other egg soups require you to add uncooked scrambled egg to simmering broth like in my egg drop soup recipe. Serve this egg soup in Asian inspired soup bowls for a great Chinese New Year dinner celebration! Don’t worry, chopsticks are not required, although if you are feeling ambitious, go ahead and try them! Eggs are loaded with protein and a great substitute for meat in your next dinner recipe. If you want to really add a boost of flavor to this soup, simmer the broth with some fresh lemongrass that you grow in your own back yard. Or, try adding hot sauce like my son does. There are plenty of ways to get creative with this Thai Omelet Soup! This Thai Omelet Soup with Tomatoes, Onion and Scallion is an easy soup recipe for busy weeknight meals. Top your Thai soup with quarters of fresh tomatoes and green onions before serving. 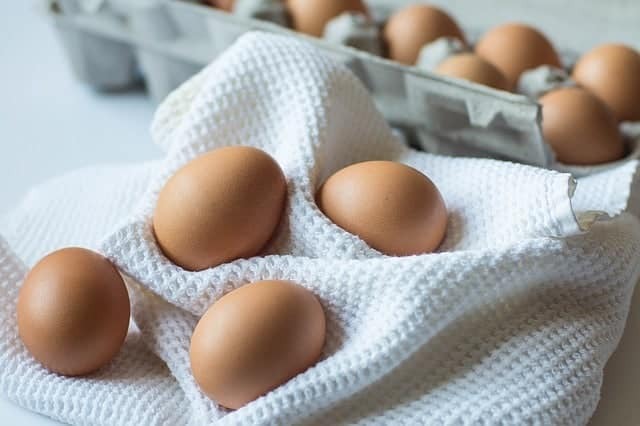 Put the egg in a bowl and beat lightly with a fork. Heat the oil in a small frying pan and pour in the egg. Cook over a medium heat until the omelet has set and the underside is golden. Slide it out of the pan and slice into strips or small pieces. Put the stock into a large pan. Add the carrots and cabbage and bring to a boil. Reduce the heat and simmer for 5 minutes, then add the soy sauce, granulated sugar and pepper. Stir well, then pour into bowls. Lay a few omelet rounds on the surface of each portion and sprinkle with the cilantro leaves if desired. Add fresh tomato wedges and green onions before serving if desired. That's a great yummy soup..